Now, suppose something goes wrong and I’m delayed. This would stress me even more, trying to keep up with the schedule and at the same time I’m still responsible for the students’ lives and safety. Even worse, if this happens in a situation when roads are icy and safe driving is put at stake, I would probably be so stressed that I’d look for an office job instead! I simply haven’t got the nerves for school bus driving. I admire those drivers who can cope with the stress and responsibility, and in all situations keep calm and be that smiling, secure and cozy driver. In my opinion you are heroes. However, there are things that I don’t have to imagine, but instead I know them for sure. One such thing is that all arrangements for improving safety will reduce the risk of incidents and their possible consequences. And I also know that being well prepared and feeling safe will reduce stress for the professional driver, irrespective of driving profession. Consequently, reducing stress is reducing the risk of making a wrong decision in critical situations. 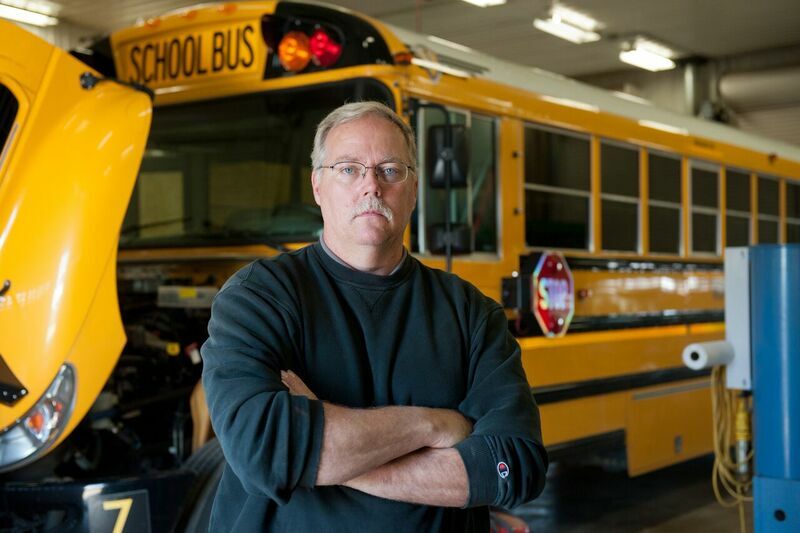 I suggest you read the “Tips on driving a school bus in adverse conditions”, where you find tips and ideas for how you could improve safety – and reduce stress.